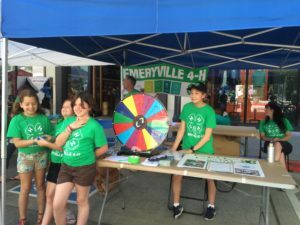 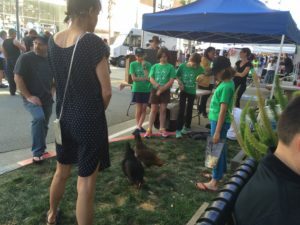 Emeryville 4-H had a booth at the kickoff of the Bay Street Farmer’s Market in April 2016. 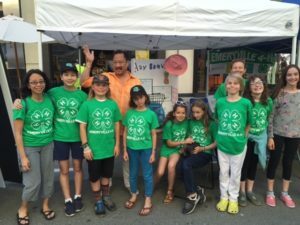 It was a great opportunity to tell people about our club. 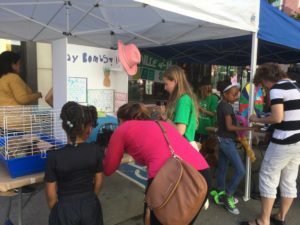 Members made posters to show what they had done in their projects. 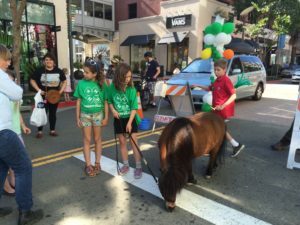 We also brought several animal ambassadors: chickens, rabbits, guinea pigs and a mini horse!